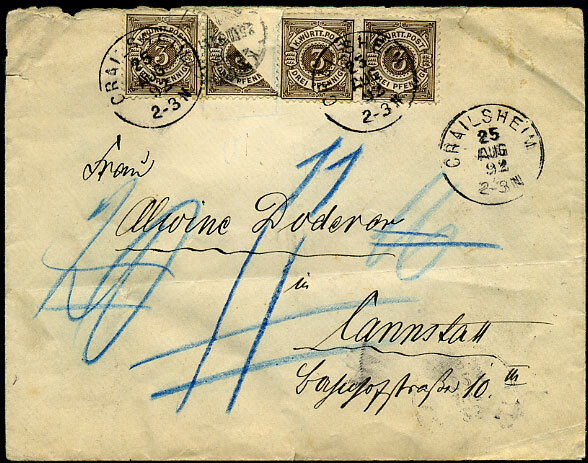 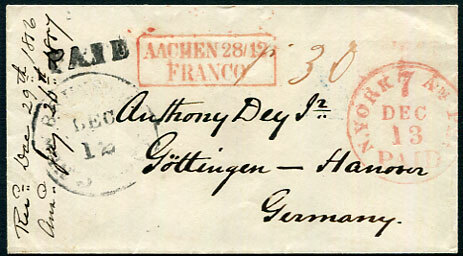 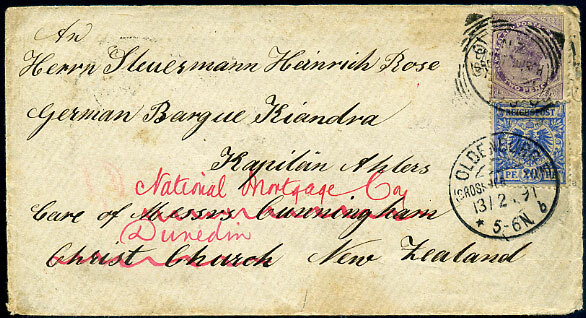 1856 cover to Gottingen, Hanover, Germany with handstruck "PAID" and NEW BRUNSWICK DEC 12 departure, NEW YORK DEC 13 transit, AACHEN 28/12 FRANCO boxed transit, reverse turquoise GOTTINGEN 29/12 arrival. 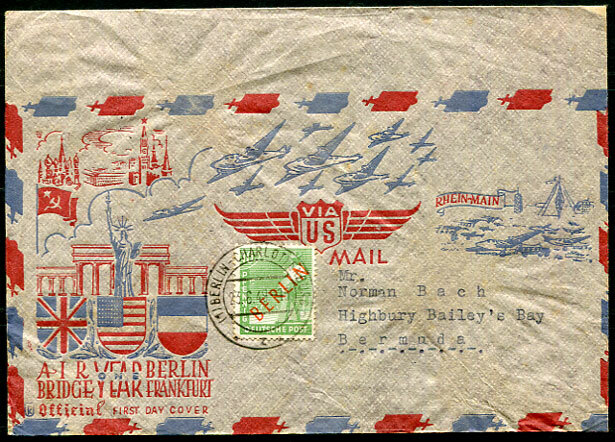 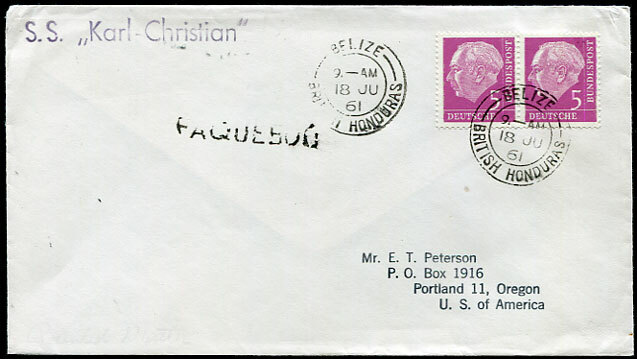 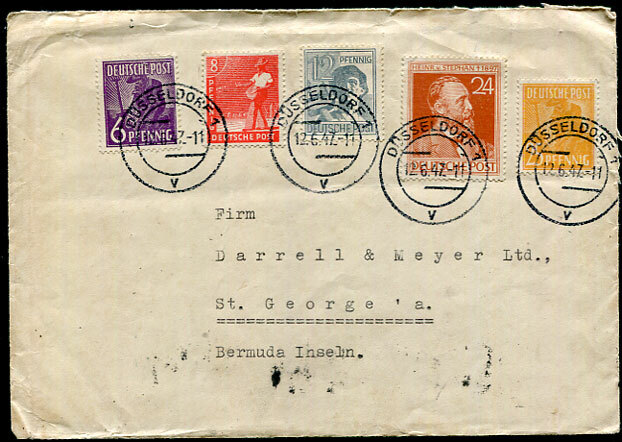 1949 (JU 23) too large for envelope stock printed airmail etiquette with Berlin 10pf to Bailey's Bay, no backstamps. 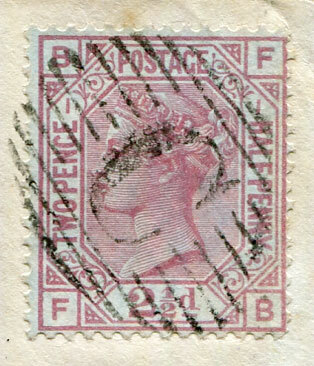 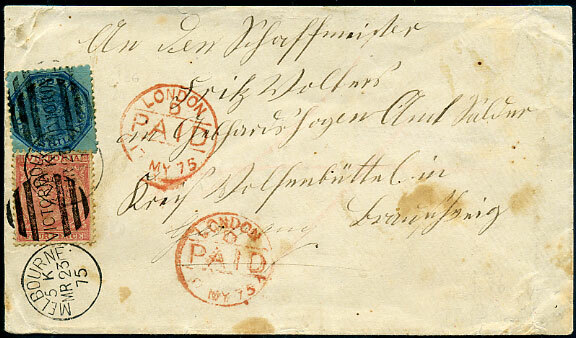 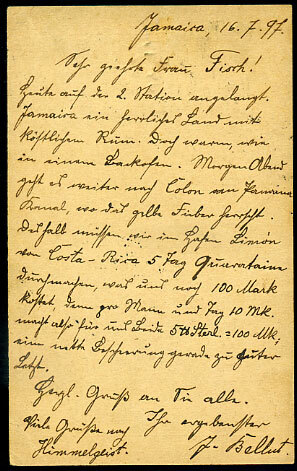 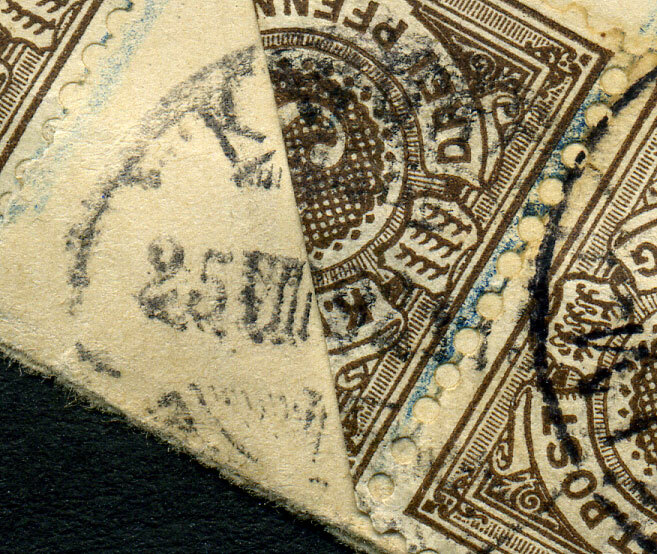 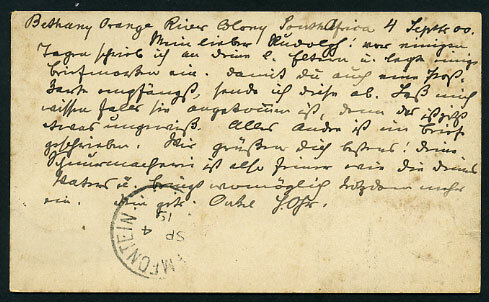 (D/R) dated JY 17 97 on QV ½d brown Post Card with added QV ½d to Dusseldorf. 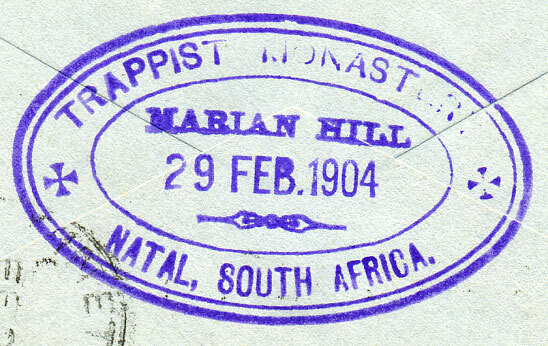 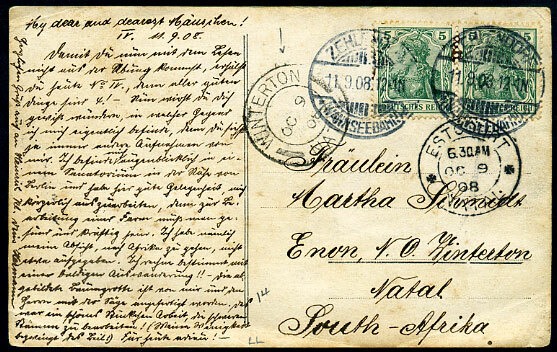 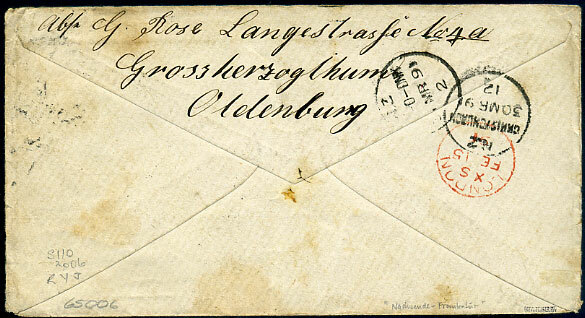 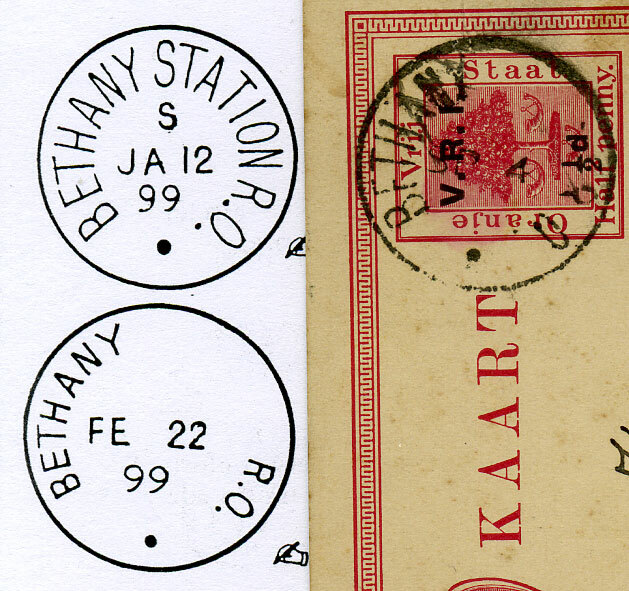 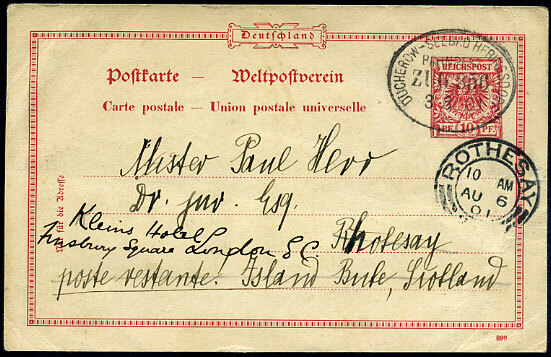 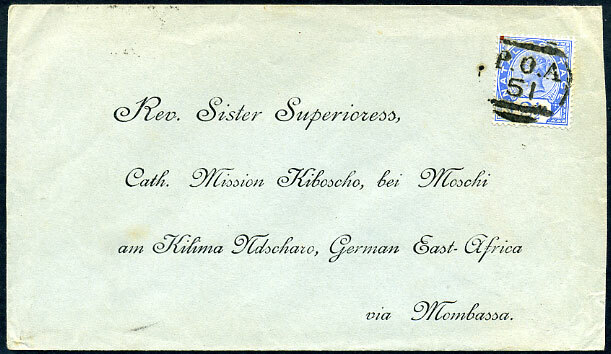 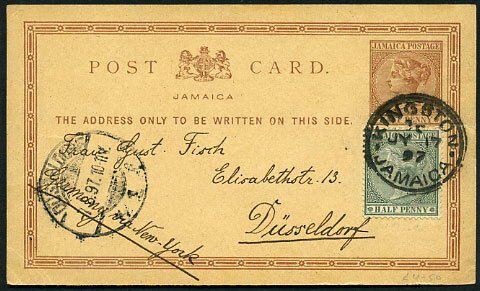 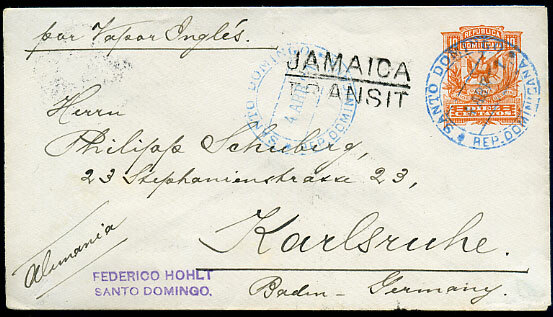 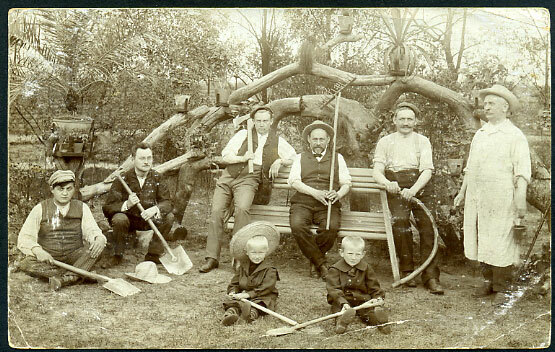 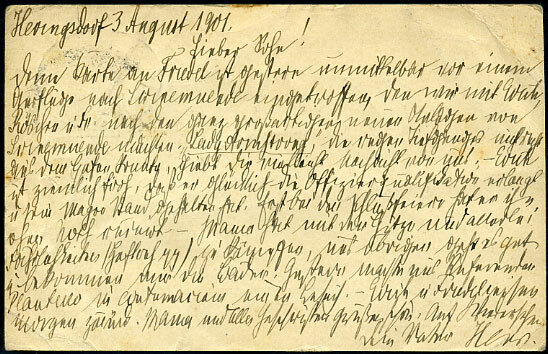 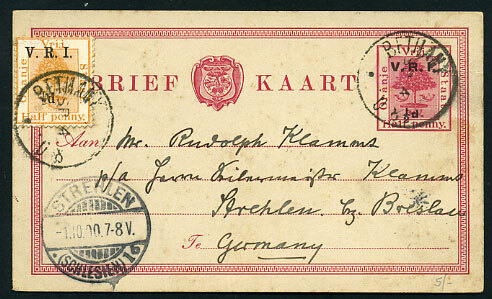 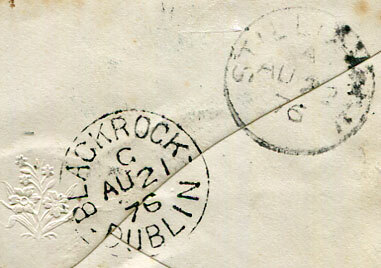 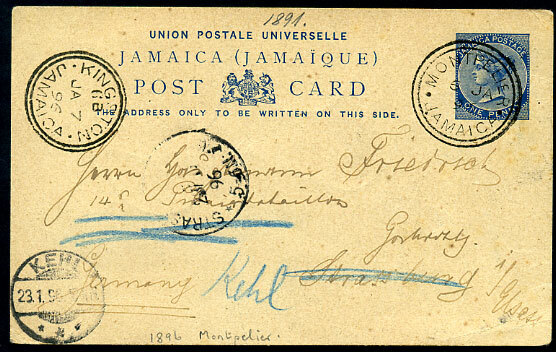 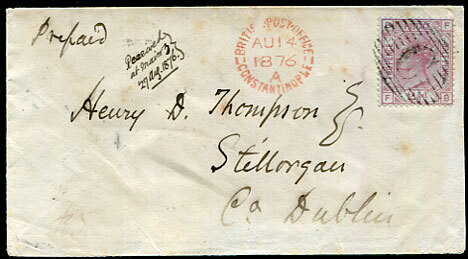 QV 1d Post Card dated 6 JA 96 to Germany.